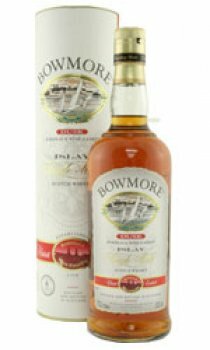 Bowmore Dusk has been matured in claret casks. Beautiful colour, copper with rose glints. Surprising but very full nose with a surprising mix of raced fragrances (animal, smoke and sea) and charming ones (violet, raspberry and malted barley). The smooth palate confirms the first impression. The finish is sweet and has fruit hints (raspberry, cherry, black current) and flowers (violet, rose and lavender).